With so much interest and buzz around mobile and its impact on search, this recent study by the Harris Poll was telling and helpful from an SEO and link building standpoint. Keep your visual and written content separate so anyone using a smartphone can easily click to what they want to find. Good case for building a presence on Pinterest or Flickr if you have a lot of visual products. Keep producing descriptive, informative and up-to-date content for your website. (Don’t send it away!) Promote what you write through social media, email distribution lists and on your blogs, forums, etc. Use a “social media” type press release when announcing new products and major content additions to your site. For affiliate marketers: A growing number of shoppers use bricks and mortar stores as “showrooms” before going back online to make a purchase. 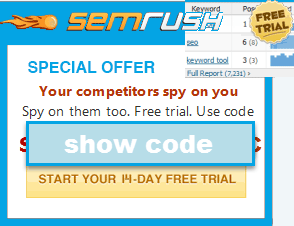 Keep your best promotions and discounts on your site rather than on sites like Coupon Cabin. Create an app to alert people when new products and discounts are available. Add RSS sign up options on all pages especially those with content and discounts. Promote new content through an app as well! If you use email in any way to build links, know more people use computers to read and send work email than mobile devices. If you are contacting people for content or link placement and doing it after business hours, know more people will see your message on their smartphones. Keep the email short and to the point, if you need to use images link out rather than embed. Keep in mind most people using smartphones do so when they are on the move or after business hours. Either scenario means you need to hook their attention the second he/she opens the email. Work hard to make subject lines pop and state your mission in the first sentence or two. Based on the percentages shown here, people like their social media no matter what device they are on! Although this wasn’t included in the Harris Poll, the fact people are using their smartphone 45% of the time to research goods and services warrants a mention: add a click-to-call option and/or telephone number on all your mobile pages as well as links to your full website and email. The full version of this post can be found in our SEOBook forum. "know more people will see your message on their smartphones. Keep the email short and to the point, " - I need to carve that into my arm, but I doubt it would help. Can't help spewing a bible every time, and I text in full sentences with proper punctuation too, haha. Words are fun. Although the data is supporting this today. I do think if you took the same survey in 2 years, it is going to be likely different, and more mobile. Comfort levels will improve. From a developer's perspective I think going gung-ho for either an all-mobile or a only-desktop application is probably short-sighted and the middle ground will stay there for a few more years - but moving more mobile, all the time. I like the way you offer some ideas to consider as the transition happens - looking at referrer data in relation to time of visit and method of browsing, seems like something worth considering. I am surprised by these numbers though - the younger the demo too, the more likely (in my mind) they are tech-adept, and more often seeking something for mobile. "2,383 adults (991 of whom own and use a smartphone) " suggests an older demo, to me - less than half w/a smartphone is just not as common in young people. But last week, I found my notes from SES 2008 in Chicago, and it was almost all about the opportunity promised by mobile. It was safe to talk about like that then, and still is...but they have hardly started to tap (ha) where that is all going to go, for real. Hard to forecast when the medium itself is still being hammered out...mobile in 2008 was nothing compared to what it is today, but the 'powerful effect of mobile on SEO' has been a solid thing to say for five years running, at least. Even when data suggests otherwise. Mobile ads, to me, are ridiculously behind in both concept and execution, considering the huge amount it could mean when someone does figure it out. And they will, but they haven't yet.